To facilitate additional production lines and the necessary storage we were commissioned to install a 534m² mezzanine floor. 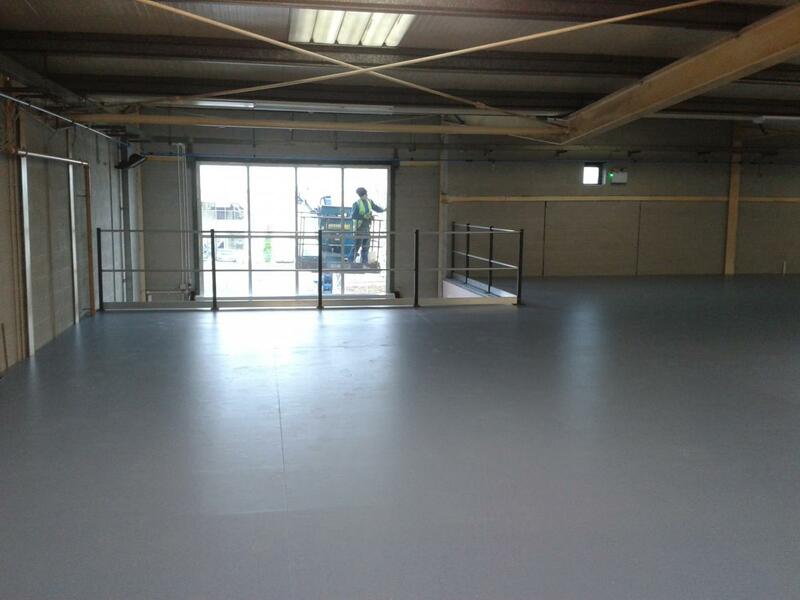 The mezzanine floor had to match into an existing first floor height with internal and external staircases, up and over safety pallet gates and a materials conveyor. Due to the coverage of the mezzanine floor the structure was fire rated using a 1 hour fire rated suspended ceiling, column casings and a bulkhead. To maximise the areas around the production lines longspan shelving was installed for high density storage of parts and components. The longspan shelving was also used to sub-divide working areas and particular production cells.